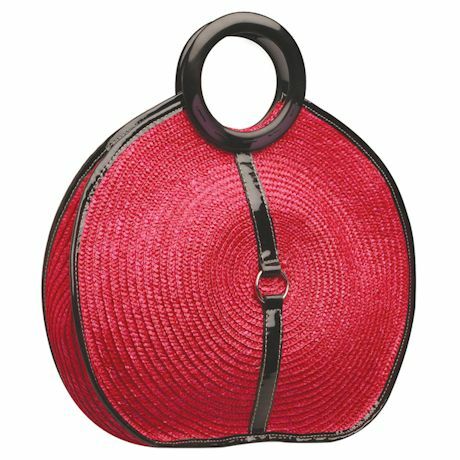 A circle-handle handbag has generously sized dimensions for carrying everything you need to get through your day or evening; made of brightly dyed straw with faux leather accents. Imported. 16 1/8" x 14 5/8".